The Tongariro Crossing has been called 'the best one day walk in New Zealand' and is rated as a 'must do' for any visitor to NZ. 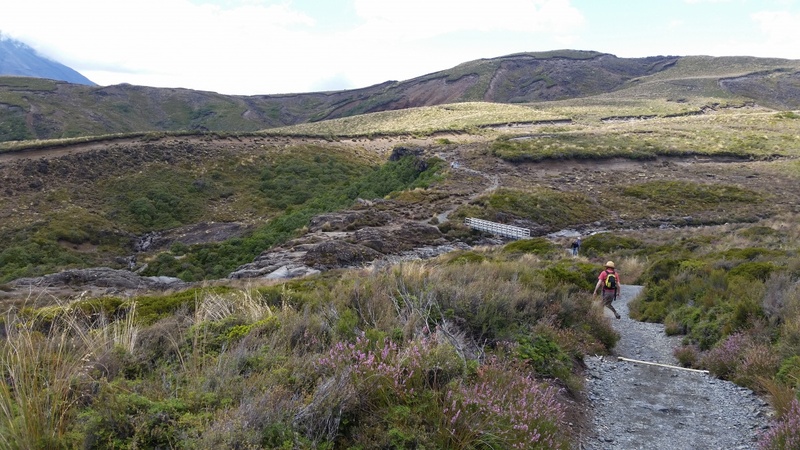 It's a strenuous 17km; 8hr hike past Mt Ngauruhoe and over Mt Tongariro and past the 'red crater' through some of the most stunning and barren landscape you will ever experience. Transport for the Tongariro Crossing is available at the gate from Dempsey Transport, ph 0800 SKI 123, (0800 754 123) or we will arrange for you. 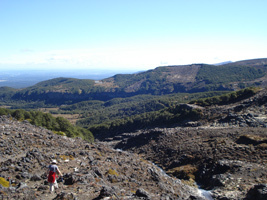 For more information about the Tongariro Crossing, click here. A cobblestoned road built over 100 yrs ago for train passengers to be transported between the north and south railheads. The gradient here was too steep for trains, so passengers were transferred into horse-drawn coaches to meet the next section of railway. 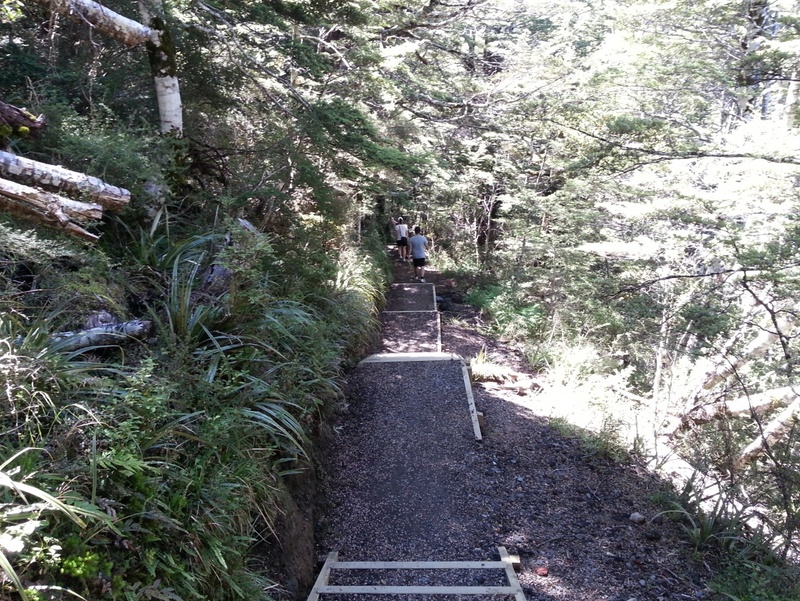 You can walk the Old Coach Road day from either end as we can arrange transport, dropping you off at Horopito for the trip back to Ohakune, or walk to the Hapuawhenua viaduct from the carpark and return the same way. 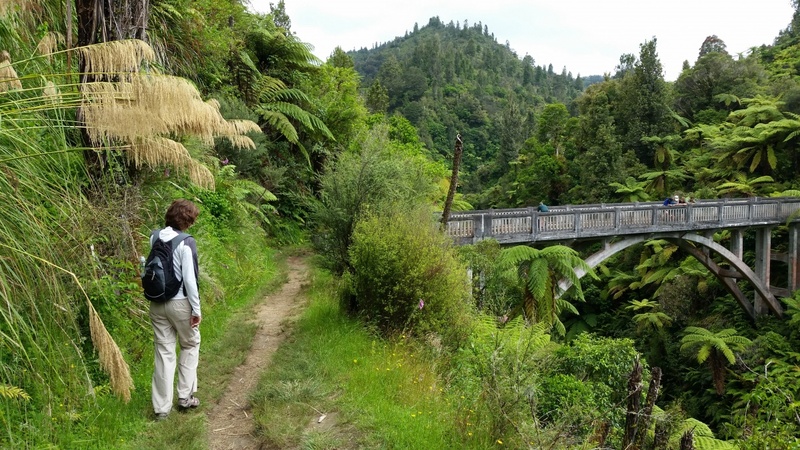 The track takes you over sections of the original road [complete with old cobbles] and you will or walk past an old railway tunnel, through majestic native forest and over the breathtaking Hapuawhenua Viaduct, a historic feat of engineering. Information boards tell you of the history along the way. You will enjoy wide scenes out across farmland to the distant ranges, and arrive back at the Peaks in time for a well deserved soak in the spa. Walk: Crossing over the bridge opposite The Peaks Motor Inn, take a walk up the track beside the Mangawhero River to The Junction (approx 1 km) coming out opposite the new Te Pepe Pump Track, where you can reward yourself at the OCR Cafe , or The Powderkeg bar/brasserie. The track also takes you back into town via some scenic stands of mountain beech trees. These two tracks begin from the carpark area opposite the DOC visitor Centre at the bottom of the Ohakune mountain road as you enter Tongariro National Park. 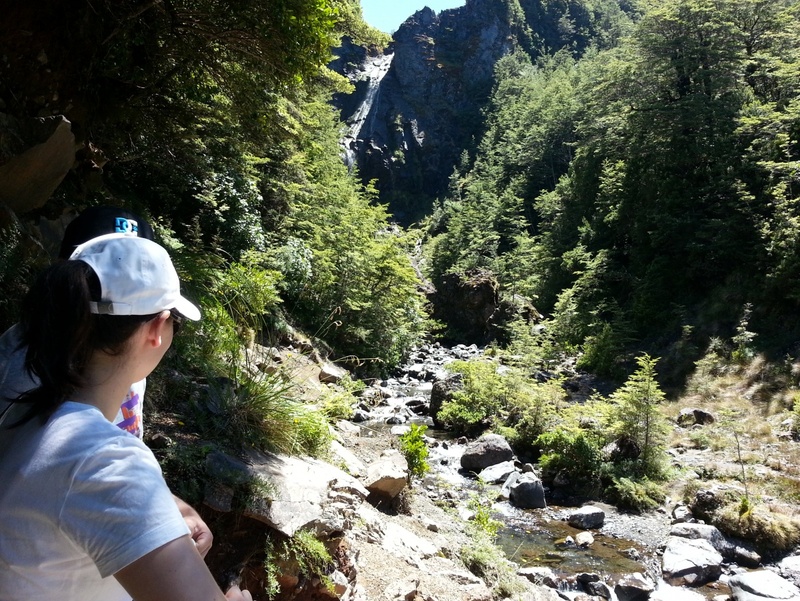 The Mangawhero Forest Walk - (3 kilometre round trip which takes about one hour) begins by crossing the Mangawhero River from which it gains its name. Running over a bed of red tinged rocks, the river starts high up Mount Ruapehu and descends over two giant waterfalls, carving its way through the debris of previous eruptions. Following a faultline down the Mangawhero eventually joins the Whangaehu River From the river the track leads into a forest of kamahi, broadleaf and five finger, with giant rimu, matai and kahikatea trees reaching thirty meters or more above the forest floor. Immediate after passing through a large cut fallen log the track crosses a large volcanic crater. The long process of infilling this volcanic vent has reached the stage where water, still lying close to the surface is able to support a swamp-type forest. The buttressed kahikatea, New Zealand tallest tree, will tolerate continually wet feet, while its close relative, the rimu, prefers drier place at the edge of the crater. A similar vent, a short distance to the west, supports an earlier stage of forest development. 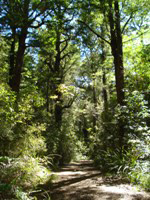 The shorter walk - Rimu Track is a loop from, and returning to the start point at he river and takes in some great old Rimu. 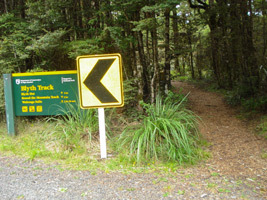 Both tracks are popular all weather walks. (10 mins return) A great hike for those who don't like the longer distances, this brings you to the edge of a dizzying volcanic rift and resulting waterfall after only 4 minutes walk. Situated 13.5 kms up on the side of Mountain Rd, the views out on a fine day are spectacular even from the carpark, if that's really as far as you want to go. [ This waterfall also featured in the fliming of The lord of The rings]. 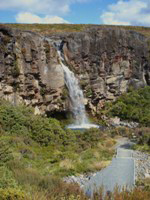 (1 hour 30 minutes return), the track to the falls begins on the Ohakune Mountain road, 11.5 kilometres past the DoC Visitor Centre . 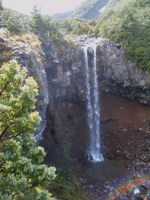 Tongariro National Park's highest Waterfall, the 39m Waitonga Falls are reached via a well formed all weather track and kaikawaka (mountain Cedar) forest. On a calm day the southern face of Ruapehu is reflected in Rotokawa the pools of a ridgetop alpine marsh/bog over which the track [boardwalk] passes. 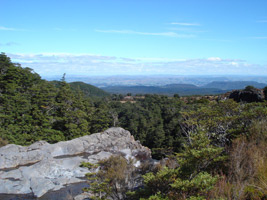 On a clear day there are magnificent views of mount Ruapehu and the surrounding countryside to the southwest. This track is rich in plant with mistletoe on beech trees and green hooded orchids along the banks. In the alpine bog sundews and bladderworth may be seen in addition to the usual larger vegetation of the bog, especially when flowering. Past Waitonga Falls, the track continues as part of the round the mountain track, a four to six day tramp around Mount Ruapehu. Beginning just past the 7 km up Mountain Rd, this track leads into impressive beech forest, giving way to tanekaha which gets progressively shorter as the altitude gets higher. This track was constructed in the early 1900s, a lot of the way through mountain bog. Logs were placed across it in order to make it passable; many of these can still be seen today. Meet up with the Waitonga Falls track and follow that back to Mountain Rd, then walk down Mountain Road back to the beginning of the Blyth Track. 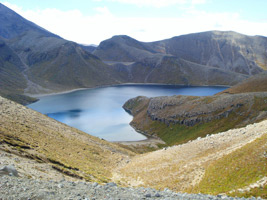 (5 hours return) One of the best hikes in Tongariro National Park, this track begins on the Ohakune Mountain road, 15 kilometers past the DoC Visitor Centre. The widely diverse terrain and stunning views make this trail one of the ‘must do’ walks/hikes in the national park area. It has been described as a unique opportunity to traverse some outstanding geographic features. 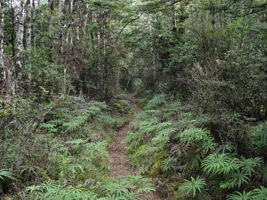 After traversing down across alpine open country from the mountain road, the track descends into Mangaturuturu Valley. You will descend via an ancient lava flow between two beautiful water courses flowing over the smooth bedrock. The creamy coating on the cascades are due to silica and mineral rich water from an alpine spring. At the bottom and crossing over the stream a flat stretch via a stand of beech forest takes you to the Mangaturuturu Hut, 1 hour 30 minutes from the road. 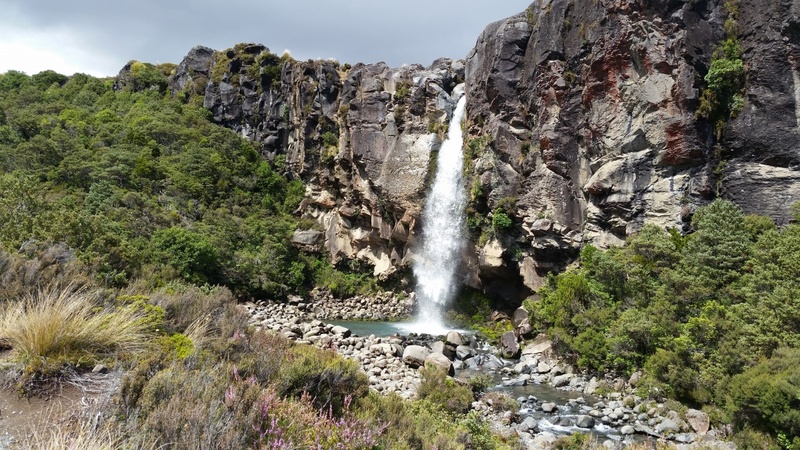 Waterfalls and bluffs complement the backdrop of Mount Ruapehu. Leaving the hut you come down to the evidence of the 1975 lahar (volcanic mudflow). The immense raw power of nature can be seen here in the scoured treeless river banks. 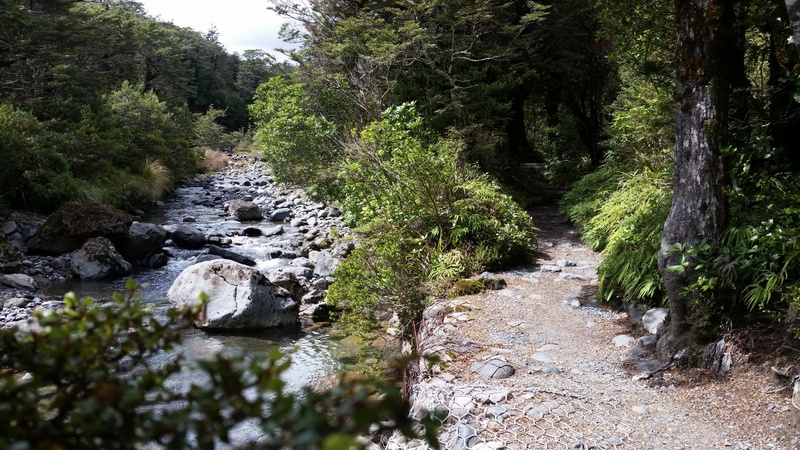 After crossing and climbing up from the river valley via a watercourse you will follow a board walk over marshy ground gradually climbing until arriving at Lake Surprise, a broad, shining shallow lake set amongst beech forest and tussock. 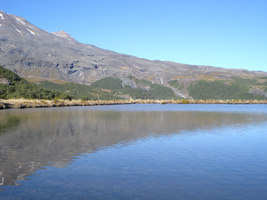 From the other side of the lake, on a fine day Mount Ruapehu will be reflected on the surface. On the return trip you experience some breathtaking views of the mountain, and changing views as you head towards the lava flow and back to mountain road. Over the summer months you can extensively walk over the Mt Ruapehu southern slopes that make up the Turoa Ski field. Parking in the top car park you can walk up the track above the Alpine Cafe and Turoa buildings making your way up toward the upper reaches with the remaining spurs of snow from the winter season. The views out toward Mt Taranaki in the west, and south over the Manawatu are outstanding. The rocky nature of the slopes makes for some ‘interesting’ hiking and you can follow the lift towers from the WinterGarden area for general guidance. In some of the gullies spurs of snow provide a stark contrast to the summer time rocky nature of Ruapehu. In the months of December – February these spurs are about 20 - 30mins further up from the 'WinterGarden' area and can be reasonably substantial in size providing fun (and sliding) and great photo opportunities. A walking pole is recommended and this is weather dependent. Even on a clear warm sunny day in Ohakune the slopes can be cool and windy so dress for any/all conditions. 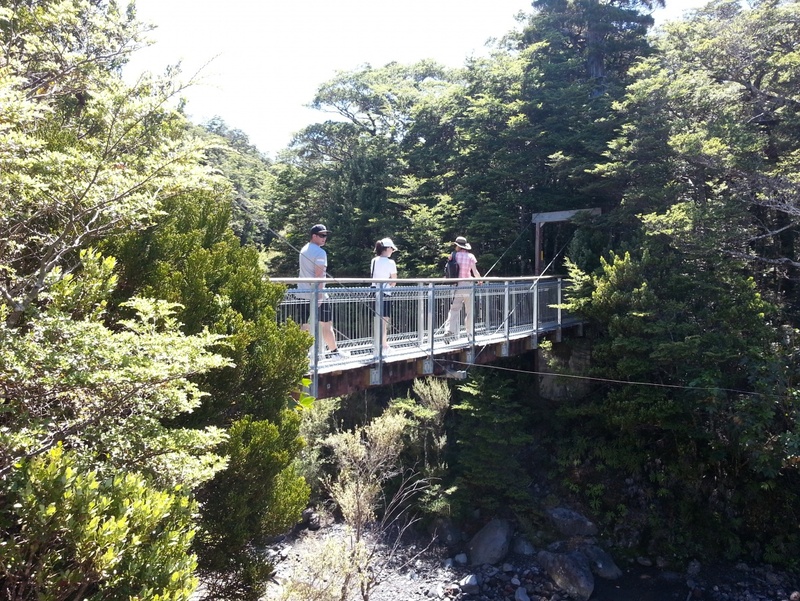 Experience three different activities and see one of NZs iconic views - 'The Bridge to Nowhere'. 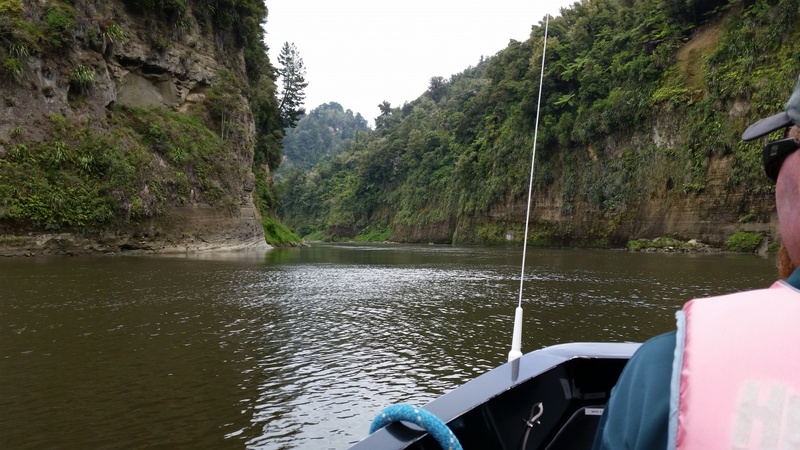 Put aside a day to explore the mid/upper reaches of the Whanganui River. Go by jet boat up river from Pipiriki to the Mangapurua landing, and walk the track which follows the original 'six foot road' to the bridge. 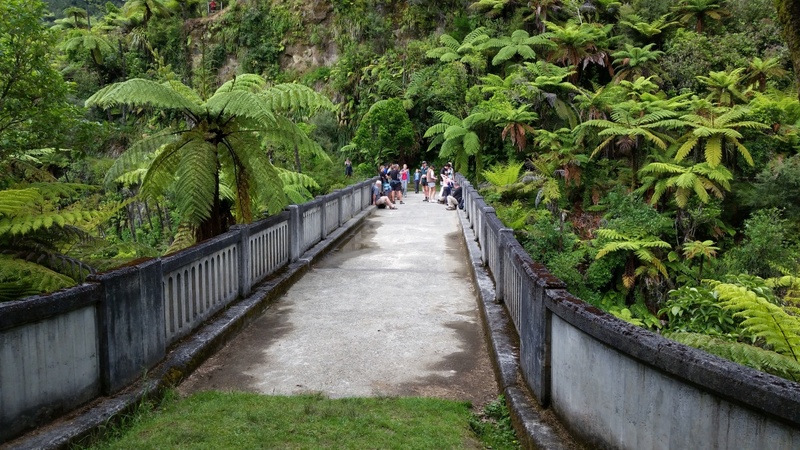 This walk takes about 45 - 50mins, and you will learn a-little of the history of the Mangapurua Valley and the early pioneer farmers who lived in the area after WW1. Returning to the landing you can jet boat back, and have the option of canoeing the last half of the return trip or taking the boat back to Pipiriki. The scenery along the river is outstanding, making for a memorable day. 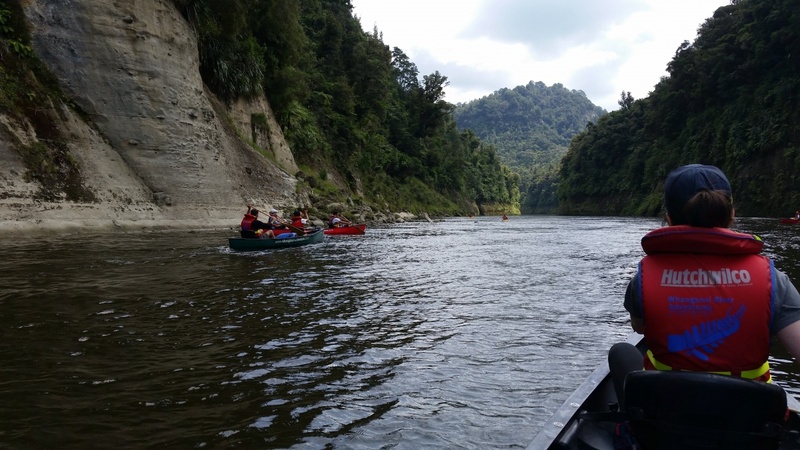 There are two operators based in Pipiriki who specialise in this trip. Well worth a return trip from Whakapapa just to see the Tama Lakes, taking in the Taranaki Falls on the way and returning to Whakapapa in about 5 hours. This generally easy going track starts and loops back to the carpark at the end of the road behind the old Chateau Tongariro. 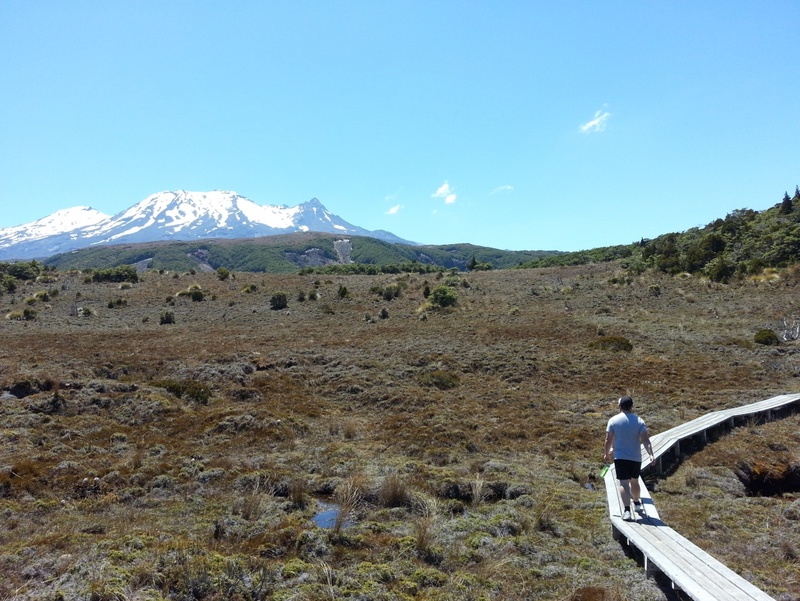 The walk has some great views as you head out toward the falls featuring Mt Ngauruhoe and the volcanic terrain between it and Mt Ruapehu. At the falls you branch off to the left and descend to the viewing area at the base of the falls before following the track along side the stream through a forested area then gradually climbing, heading back to the carpark. Allow about 2 hours for the walk, the track is easy to follow and is smooth under foot. Designated an ecological area, with plentiful birdlife: also a favoured area for short tailed bats to roost in, although you will not see these by day. 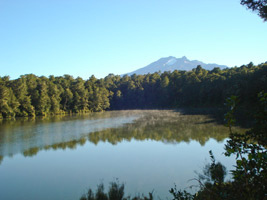 Both lakes are ancient volcanic vents, and are also tapu (sacred) to local Maori. Please respect this by not eating, fishing or swimming in the area. From the DOC carpark there is a 5 minute climb up a track while listening to a nearby hidden stream. After this the gradient is all gentle, leading through beautiful beech forest, on to the next lake and around it. 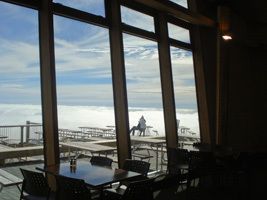 Over the summer months RAL operate the a programme which includes running a chair lift up to Knoll Ridge cafe. 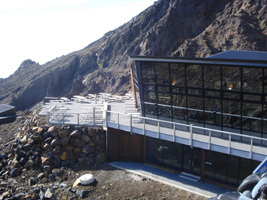 From there you can take a guided tour to the crater lake or just stroll around part of the northern slopes of Mt Ruapehu. This is very weather dependent; for further information see the RAL website by clicking on the tab on the right hand side of the home page.